Imagine sitting in a room colder than the inside of your refrigerator. With a sopping wet ice cold sheet draped over you. Are your teeth chattering just thinking about this? the innate power of their brain and mind. The incredible ability to control autonomic functions of the body through the power of the mind has been demonstrated for millennia by highly trained monks and yogis. Typically it is believed that such powers take decades of strict body mind discipline. In the once secret ritual of the Tumo Monks of Tibet, finally demonstrated to Dr. Herbert Benson and captured on film in 1981, the monks seclude themselves in an unheated room in the dead of winter high in the Himalayan Mountains. At refrigerator temperatures of no more than 40 degrees they drape themselves in soaking wet sheets- and through the power of concentration alone, thoroughly dry these sheets as you might on a clothes line on a hot summer day. Benson himself said, "Attempting such a feat by you and I would send us into uncontrolled shivering, perhaps even fatally so." (Denver Evening News, March 7, '04, a man dies of hypothermia from exposure of 45 degree temperature water of an hour-- 5 degrees warmer than this experiment.) . Science has now shown us how this same remarkable control of brain and mind now can be learned easily by any person, without first doing years of religious meditative practice. as easy as clicking on your electric clothes dryer switch. 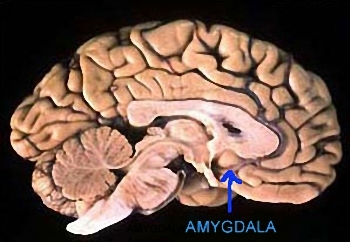 Simply learn how to "Tickle your amygdala forward". Slade's feat was accomplished without a trace of discomfort or shivering, shown in this time lapse video. The unedited forty-minute video is available for viewing by skeptics. The electric cord plugged into the wall behind him was the AC cord powering the video camera (from which the small still pictures have been copied here).... He is not sitting on an electric pillow! (Although this would have may things more toasty). Click on this image to stream video. You will need the free REAL PLAYER to view. If you don't yet have Real Player installed on your computer, do it by clicking this link. to install. RealPlayer 8 is recommended for it's simplicity. N.S.- "This experiment was done simply to test the power of a focused brain over the natural autonomic nervous system. Normally, the body's reaction to severe cold is to shiver and to constrict the skin's blood vessels to protect the internal vital organs. Once this amygdala clicking/brain focus session was over this is exactly what happened-- even with my sweater, shirt and pants on, after I stood up and changed my focus to taking the camera equipment back to my home. During the entire session I did not feel any sensations of particular cold (even to my own astonishment), and at times even felt a warming sensation in my stomach and torso. 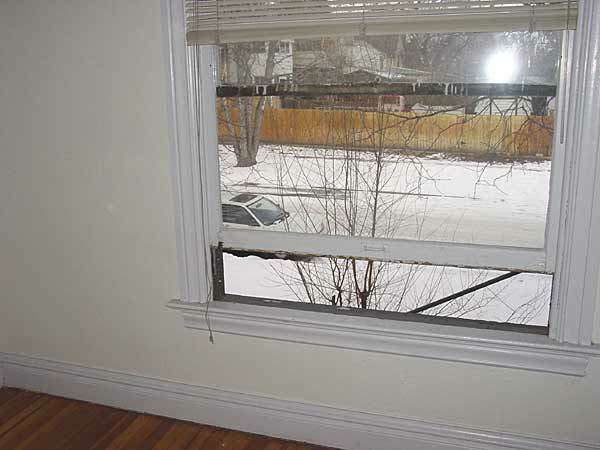 The apartment used was an empty one in my building, with the window left open to get the room to the desired 8 degrees above freezing, exactly the temperature used by the monks in their ritual. The snow can be seen outside on this winter day, about 20 degrees outside at 4:15 to 5:10 PM. The video actually shows the room dimming towards the end of the session as the sun begins to set. 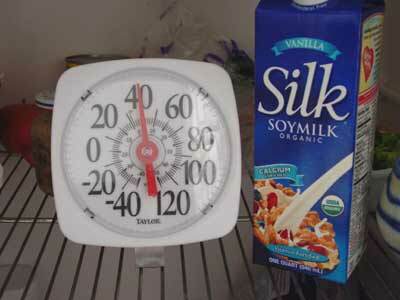 There was no heat on in this apartment, and the thermometer was functioning accurately shown by the photos of the thermometer in my own living room at 72 degrees, and inside my refrigerator at 40 degrees. 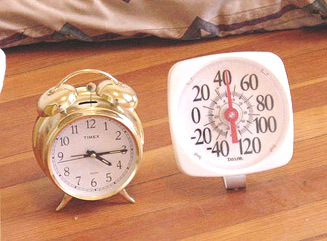 At the beginning of the brain focus session, the thermometer registers the room temperature of 40 degrees, but within about five minutes the proximity of my own generated body hear raised the thermometer about two and one-half degrees where it remained for about 45 minutes, the length of the entire session. 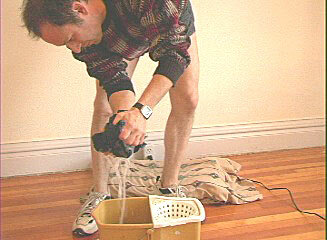 Although not so obvious in the web photos and web video, the sheet can be seen to quickly go from dripping wet to damp dry in this frigid room within about 15 minutes, seen on the original tape. 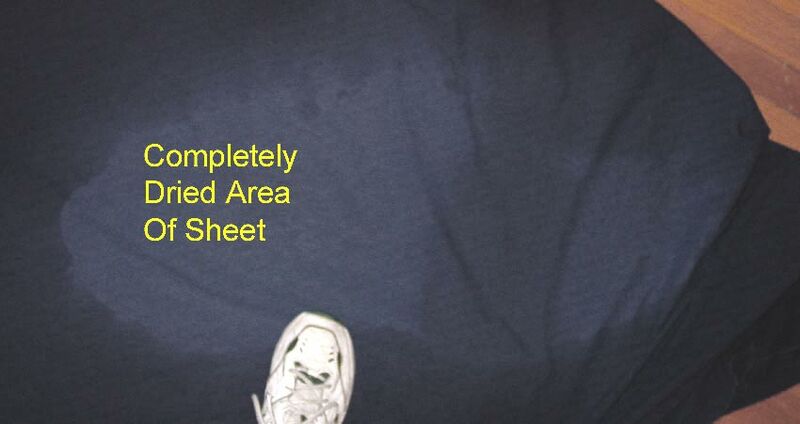 Within about a half hour the sheet was fairly dry, and at the end of the session, the increased brain generated body heat completely dried a substantially large section of the sheet. Only one electric outlet was functioning in this room, the one behind the pillow, and this cord runs from the wall socket to the AC adapter that ran the video camera shown in "dripping sheet bucket" photo above. Of course, there isn't a lot of real practical use in this unusual demonstration of mind of body, unless you are trying to lower your heating bills. This demonstration is extremely valuable, however- and this is my intent- in showing that the brain has extraordinary capabilities far beyond conventional wisdom and what we may expect- and this is a very useful bit of knowledge when we are trying to solve our "unsolvable" problems in daily life of overcoming negative emotions, and eliminating all of our other stubborn problems in daily life. It's all just a 'click' away if you know how." SEE: HARVARD UNIVERSITY MEDITATION RESEARCH OF "TUM-MO FIRE"
Tumo (also spelled Tummo, or Tum-mo ) is a Tibetan term for a type of contemplative practice that causes an intense sensation of body heat to arise. Stories and eyewitness accounts abound of yogi practitioners being able to generate sufficient heat to dry wet sheets draped around their naked bodies while sitting outside in the freezing cold, not just once, but multiple times. These observations have also been discussed in medical studies (Ding-E Young and Taylor, 1998). One of the most famous practioners of tumo was perhaps the Tibetan Buddhist saint, Milarepa. The biography of Milarepa is one of the most popular among the Tibetan people (Evans-Wentz, 2001). Modern western witnesses of this practice include the adventurer Alexandra David-Neel (David-Neel, 1971), and Lama Anagarika Govinda (Govinda, 1988). 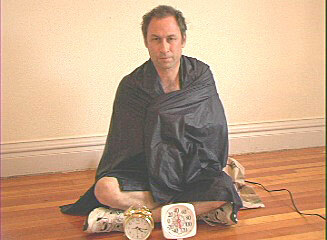 While the practice could be said to have some practical benefit in the frigid climate of Tibet, it cannot be said to be cultivated merely for the sake of keeping warm, but is rather a side-effect of a religiously oriented intensive meditation practice, and is understood to be the outward manifestation of an inward state of religious ecstasy or divine union. Similar experiences of a mystic fire have also been described among practitioners of other contemplative paths, such as the Sufi Irina Tweedie, and among practitioners of Kundalini Yoga. An attempt to study the physiological effects of tumo has been made by Benson and colleagues (Benson et.al, 1982; Cromie, 2002) who studied practitioners in the Himalayas and in India in the 1980s. 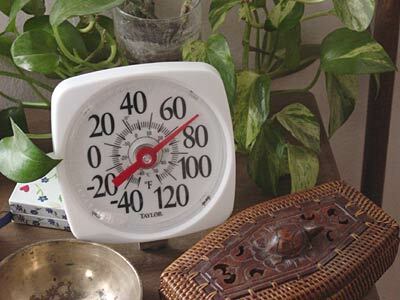 In the first experiment, in Upper Dharamsala (India), Benson et.al (1982) found that these subjects exhibited the capacity to increase the temperature of their fingers and toes by as much as 8.3°C. 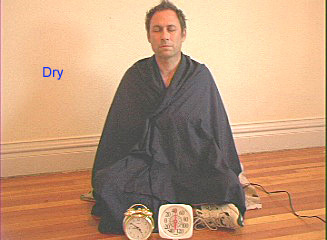 In the most recent experiment, which was conducted in Normandy (France), two monks from the Buddhist tradition wore sensors that recorded changes in heat production and metabolism (Cromie, 2002).